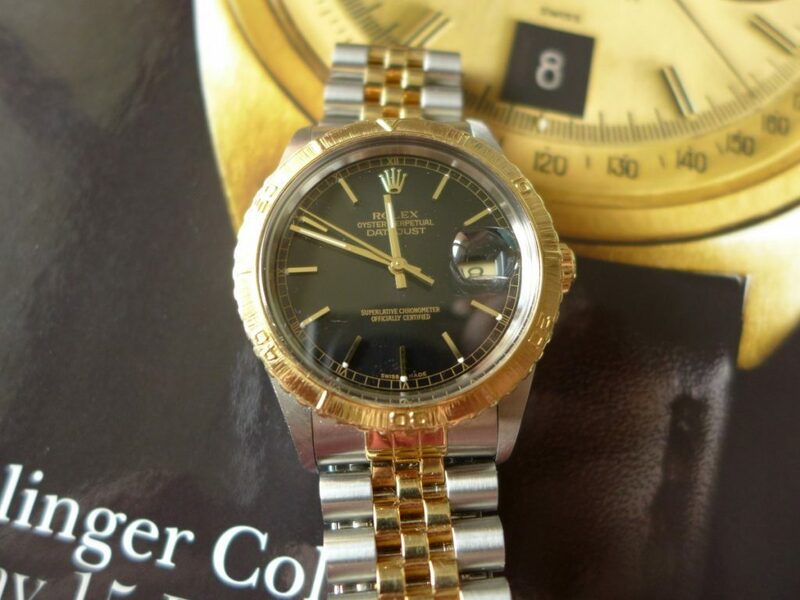 Hands on With Rolex Datejust 16523 Bi Metal “aka Rolex Thunderbird” this a 1980,s vintage model which is a Rolex datejust with a rotating bezel and is known as the turn-o-graph. The turn-o-graph was designed for a easy way to measure and record time not sure the concept of that!! They was a vintage ad pre 1950’s for the Turn-O-Graph ref. 6202 states ” now the simplest of all ways of timing has been invented. 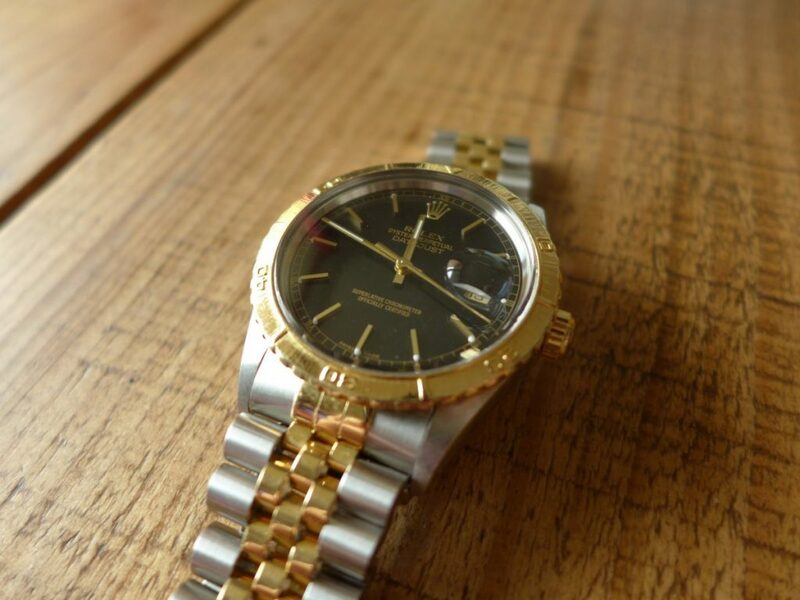 It is built into a wrist-watch called the Rolex Turn-O-Graph. 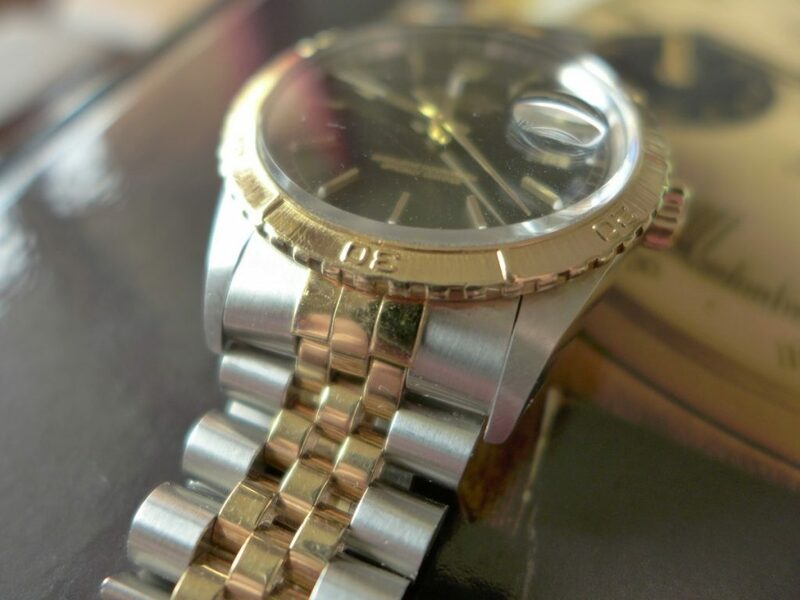 The watch consists of an extra rim / bezel round the watch head. This bezel is marked from zero to sixty and is easily turned by hand. 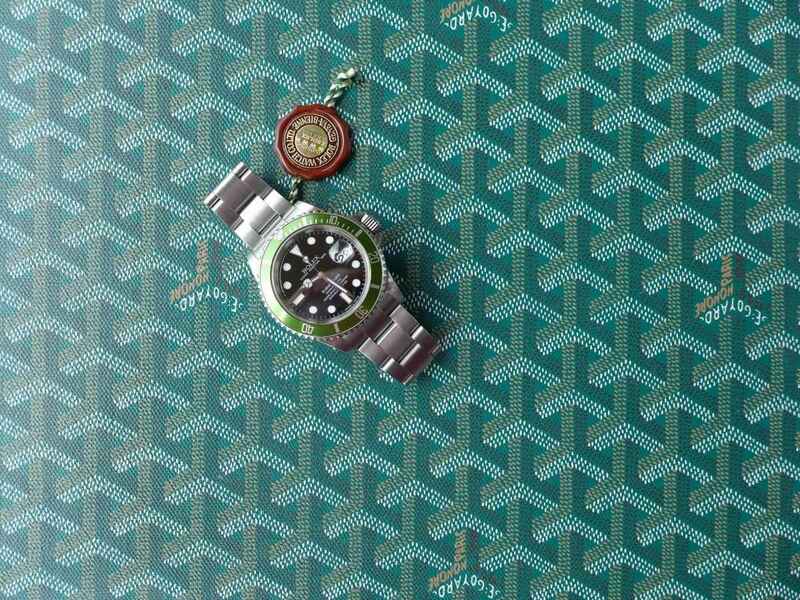 To time a operation or also, all you need to do is align the 0 mark on the bezel with the second or minute, or hour hand of the wristwatch. Thereafter, at any moment, you have an immediate record of the time elapsed. This functionality of the turn-0-graph was adopted US air force aerobatic squadron and the watch became the official pilots watch known as the “Rolex thunderbird” for the US market. 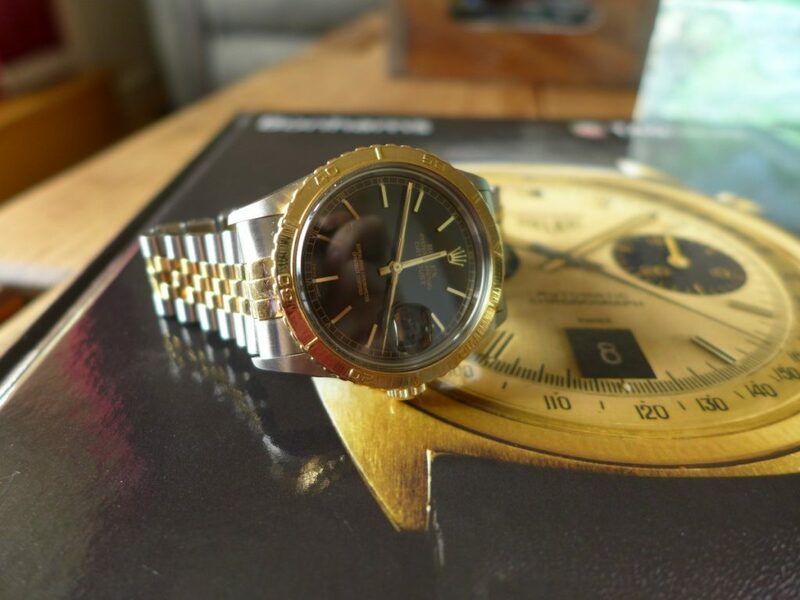 The early vintage model Ref 6202 did resemble the future Submariner’s which probably would have been the better root for this model, as this one the 16523 is simply a Rolex datejust with the rotation bezel for recording time. 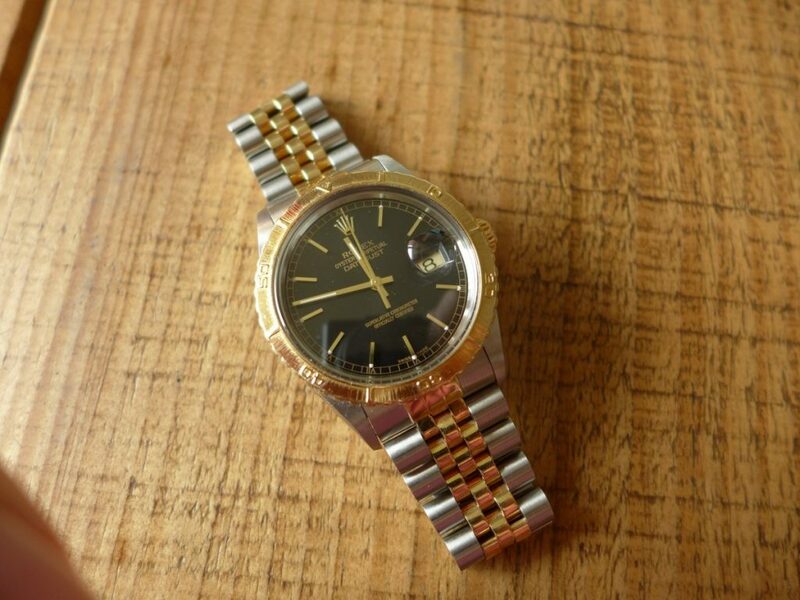 This model is stainless steel and 18k gold comes on the jubilee bracelet but is optional with the oyster bracelet, date window at 3 o clock, they also do this in all steel too. 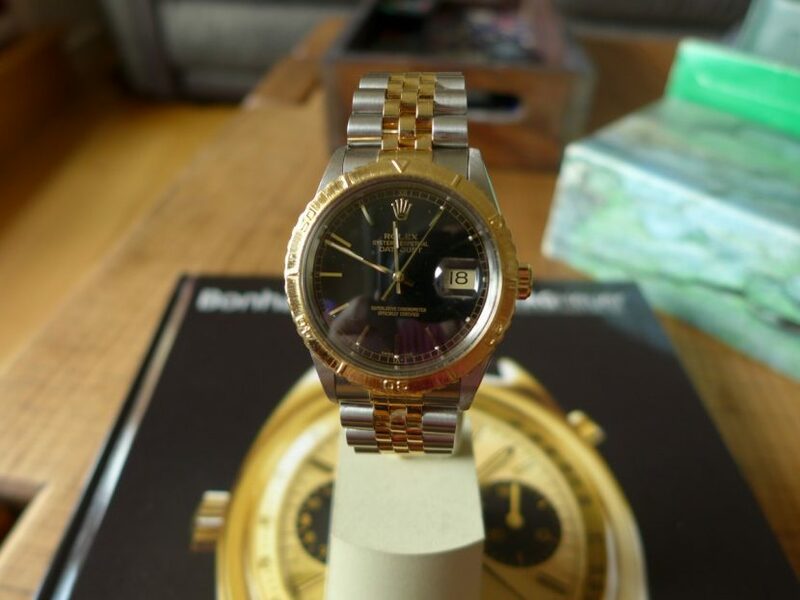 But round year 2000 the watch was totally revamped, In around 2006/2007 the watch was discontinued probably down to poor popularity of this model. 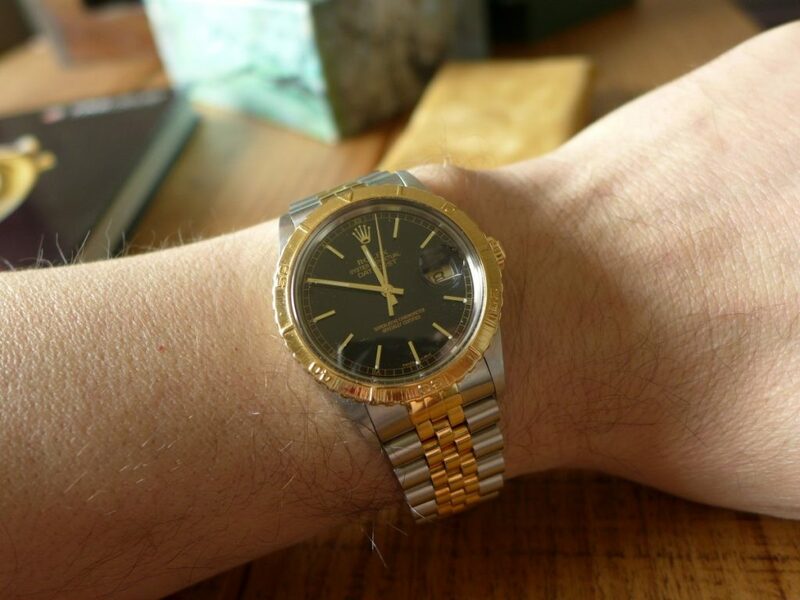 But overall nice looking watch with a vintage look and not too pricey either slightly cheaper than a normal datejust.